All Pipe Creek homes currently listed for sale in Pipe Creek as of 04/23/2019 are shown below. You can change the search criteria at any time by pressing the 'Change Search' button below. If you have any questions or you would like more information about any Pipe Creek homes for sale or other Pipe Creek real estate, please contact us and one of our knowledgeable Pipe Creek REALTORS® would be pleased to assist you. 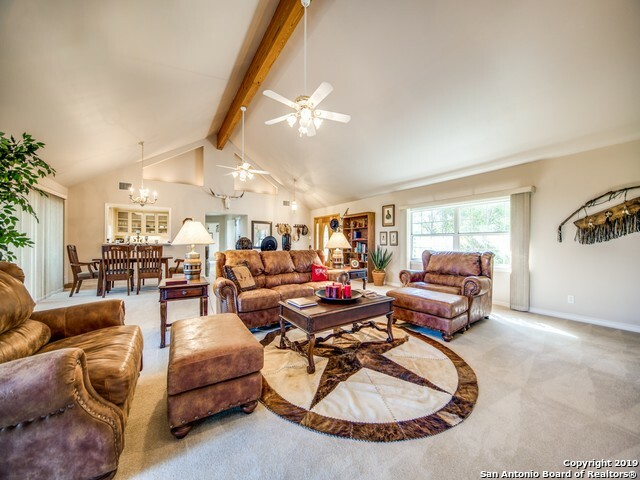 "This 58+ acre hacienda is conveniently located off HWY. 46 between Boerne and Bandera. 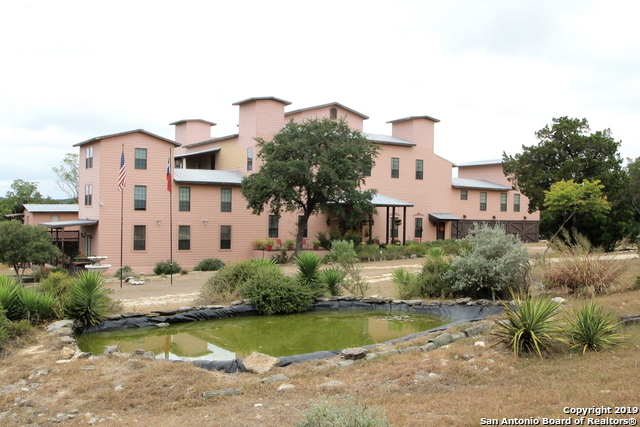 La Hacienda Ranch offers your own private oasis in the Texas Hill Country. This one of a kind 3B/1BA Spanish Hacienda will have you and your guests never wanting to leave. Custom touches throughout including handmade tiles and stonework. Guests can stay in one of the 5 casitas located on the property. Great weekend getaway; perfect for hunting, farming, cattle, or even events." 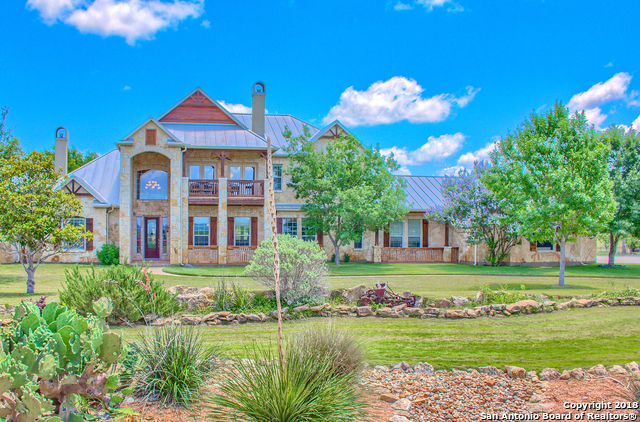 "This impressive, Hill Country estate offers views for miles! It boasts an open floor plan,spacious,eat-in chef's kitchen w/dbl ovens, formal living, family room w/attached entertaining room & full size bar, executive study, formal dining, & upstairs gameroom w/balcony.True master retreat.Nestled on 2 private acres w/mature trees, this entertainer's dream has a spacious pool w/grotto & slide, large covered patio all backing to a greenbelt. 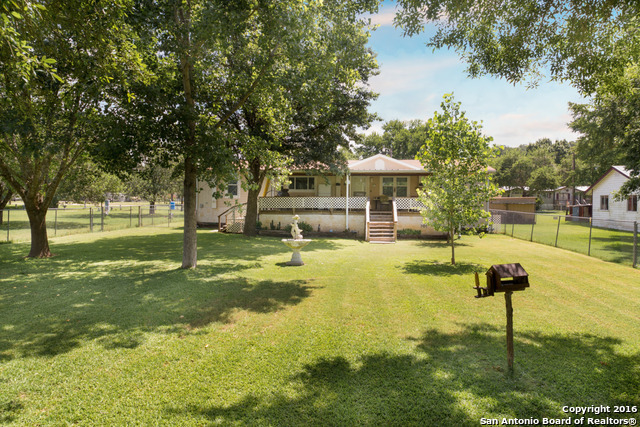 Additional detached garage w/RV door & additional boat/"
"A true gem in the heart of the Texas Hill Country-MEDINA RIVER 410' of crystal clear water. Sit by quietly & listen to the water ripping over the rocks or kayak, fish or swim. Electric gated entrance. Improvements sit back off the road. All concrete drive leads to the Rock Main House with glass & multiple decks all across the back of the home. A swim spa/hot tub. Awesome Hill County View from the decks with terraced landscape. Rip Roaring family gathering with the river down below. 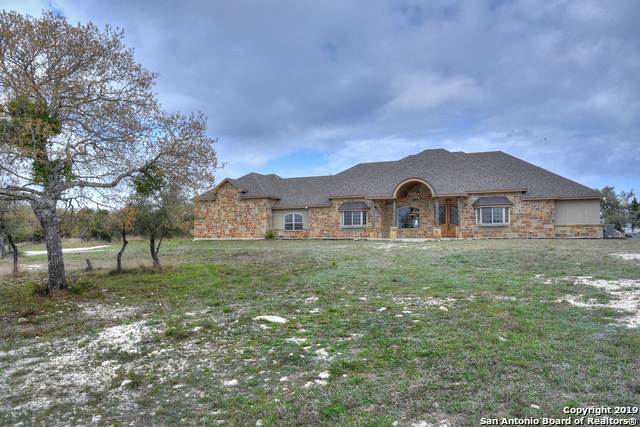 Also a Guest "
"Superb Hill Country Estate located mere minutes away from city amenities & Medina Lake. Nestled on 5.65 private acres with breathtaking bluff & river view. This magnificent retreat offers many exquisite details such as; cathedral ceilings, custom stained glass windows, magnificent chandeliers, art gallery, expansive decks. The retreat surrounds a 100 Yr Old Hunting Lodge that is incorporated into the main house. 3 Guest Suites complete with full kitchen & dining room. 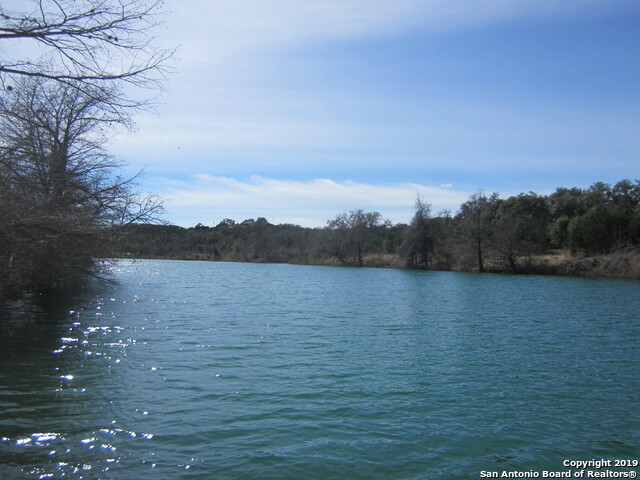 Private river access & HOA "
"Hill country haven nestled on 8+ acres w/unprecedented privacy & views! Wonderful entertaining oasis showcasing a sparkling pool w/spa, playground & multiple seating areas. Open concept w/custom finishes thru-out. Impressive living area offering 30ft cathedral ceiling & over-sized windows bringing the outdoors in. Extras incl: central vac, intercom, laundry chute, detailed faux work, granite, stacked rock & much more. Private master wing w/separate flex space & luxury bath. Walk-in attic for add"
"Gorgeous home with Amazing views anyone? This on 16+ acres,3629 sqft, 3 bedrooms 2-1/2 bath with a loft with built-in bookcases, gas indoor/wood outdoor fireplace, wood beams throughout, gourmet kitchen with oversized island/eating bar and Jen-air upgraded appliances along with custom cabinets and 2 step crown molding. The fiber optic high speed is available here. The garage is insulated and has 8' roll-up doors for larger trucks. The riding arena and horse stalls have water and power run to "
"End of the road privacy +/- 20 fenced acres abutting 6000 acre Texas P&W State Natural Area.Partially cleared cedar but plenty more for the hobbyist plus varied terrain ranging from gently sloping pasture, seasonal creek, bluffs,& a high point. Deer, turkey..Ranch style brick home built in the 70s, well maintained + several potential building sites. Two car carport, gazebo, deck, workshop, outbuildings +old garden area. 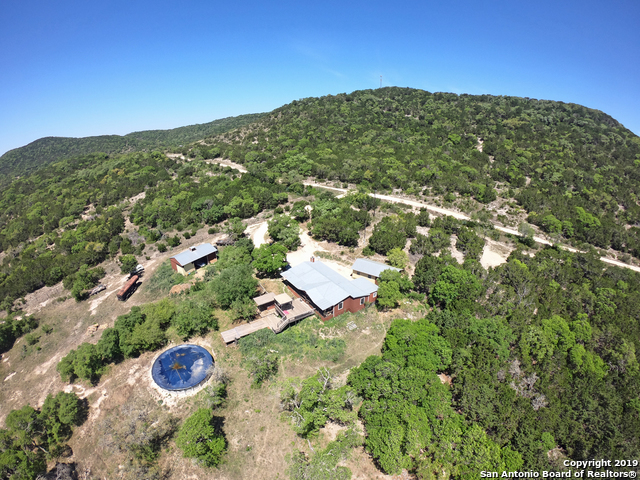 2800 gallon water storage.Near Bandera, Boerne, and San Antonio fun spots." 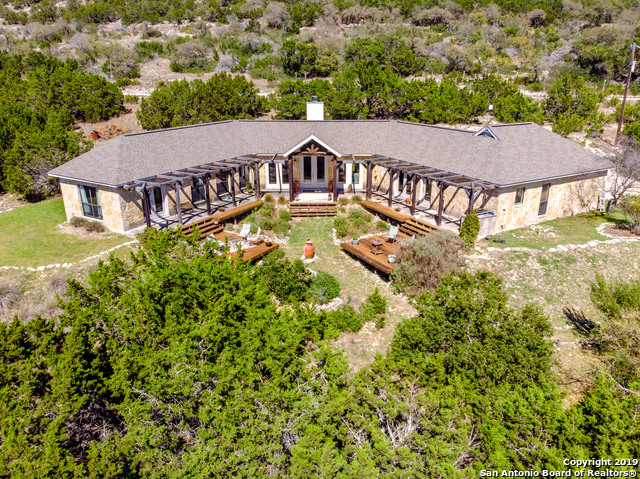 "Incredible Views of the Texas Hill Country from this 4/3/1 Home, Overlooking Pipe Creek and the surrounding hills * Come enjoy country living in this spacious home on 15 acres of varying terrain including hills, valleys and creeks * Hunting is good here with lots of wildlife making their way to the water in the clear flowing Pipe Creek * Big Oak Trees are sprinkled across the property and large Cypress Trees Line the creek * The Large Master Bedroom is on the ground floor and the others are upst"
"AMAZING Property!3LOTS totaling 12.02acres!Log Cabin,2 masters, granite,extra log building could b office or art studio,RV pad w/water&elec,pool,hot tub,can add propane tank to make home gas,horses allowed,hunting allowed.Fenced/cross fenced.Barn w/turnouts,tack room,garden w/irrigation.2ac. perfect for grazing&planting.Raised bed greenhouse.Pecan&fruit trees.5ac.has it's own electric meter.2ac. 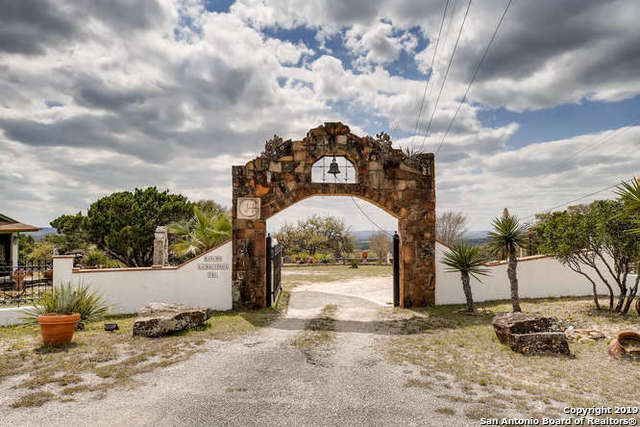 off of Deer Creek Dr.could b subdivided.10.02fronts Diamond J.SO MUCH POTENTIAL w/this property!MUST "
"Beautiful long range hill country views on acreage. 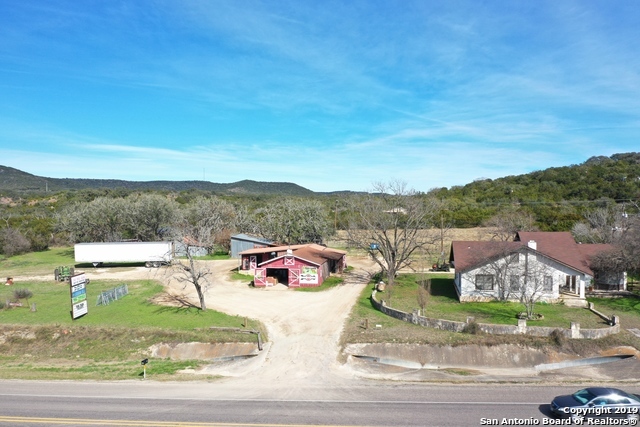 Unique opportunity to own highly visible Commercial Oriented Property along SH 16 corridor between Pipe Creek & Bandera. Property includes a 2,700sf Main Home w/ 4br/2ba; Second Guest Home; Large Warehouse/Retail Building; 3 Barn/Outbuildings & over 3 ac. of land. Business/Business Name are not part of the sale, but business type can be continued under new ownership. 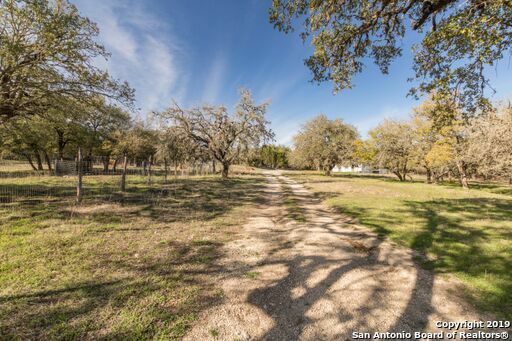 This is a rare opportunity to own a piece of land & Hill Country history." "Come view this beautiful one-story, custom home in desired and secluded neighborhood on 5 acres. Upgrades include large walk-in master closet, divided bath and shower, raised ceilings, wood floors, two hot water heaters, instant hot water faucet in the kitchen, utility sink in laundry room, 3 car garage... and the list goes on. You cannot see the house from the road which ensures privacy. 1 of the bedrooms is set up privately off the kitchen and could be used for an Au Pair or as a mother in law"
"Luxurious single story home with 4 bedrooms & 2 full baths situated on 2 acres of neatly landscaped land. With a stone and stucco exterior, this home was all skillfully crafted in 2587 sq. ft. Greeted with an open floor plan, this custom built home features 10 foot vaulted ceilings, brazil granite, stainless steal appliances, recessed lighting, & two wood burning fire places both inside & out. The master suite includes a wrap around shower & is located on the opposite side of the additional bedr"
"Spectacular hill country home on nearly 2 acres overlooking the Medina River. High end features throughout the home. Kitchen features Thermador appliances,Thermador built-in refrigerator,granite,gas cooking, and a breakfast bar. Over 1,700 sq.ft. of porches and decks. Stone floor in the living area. Recessed lighting. Owner's bath offers large walk-in shower with stone walls and dual shower heads,separate soaking tub, dual vanity, and granite. Oversized garage. Both A/C and heat systems replace"
"Hill Country Living. Custom Single Story Home, 4 bedrooms, 3 baths. Open Floor Plan leads you to a Large Living room, and to a custom-made Kitchen with large stone island and attached Dining area. Master Bedroom has a custom full bath. 3 Sizable additional bedrooms for the whole family. Texas Size Back Yard with Deck and Pool are great for Entertainment. Over 6 acres of Beautiful Clear and Wooded Country Land to Play, Live and Enjoy Nature. 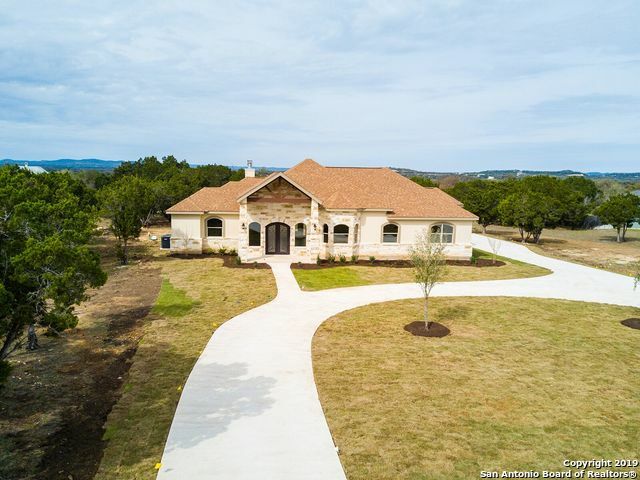 Minutes away from Medina Lake and just 24 Miles from Lo"
"This beautiful home was custom designed and built to capture the magnificent wrap-around Hill Country views! 2 Bedrooms/2 Baths/2 Living Areas/2-car attached garage, pergola & cantilevered decks for outdoor living! The main living area offers a beautiful rock fireplace, vaulted wood ceilings. A sprawling Master with a big closet, outdoor access/patio, jetted garden tub & separate shower. Some unique features are pull-out shelves in the pantry, window-seat storage and more. Too many neat feature"
"Remarkable unrestricted 15 acres (out of 25 acres) with a large workshop/garage (40x60) with a live spring and creek. Ferns and cattails grow there so therefore there has to be water there all the time. Home needs to be totally remodeled. 1 well, 1 concrete storage tank with pumps and possibly 2 septic systems, one for sure. Property can be used for hunting, fishing, recreational). Beautiful views, extremely peaceful & quiet. 20 min from San Antonio! For additional 11+- acres next door MLS 135"
"Opportunity Knocks! 15 unrestricted/Ag. 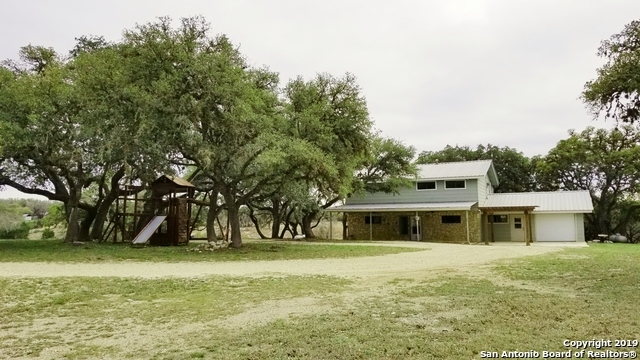 Exempt acres w/ two houses, an above ground pool, barn w/ tack room, expansive views, unrestricted use, hunting & privacy so close to Boerne & San Antonio! Main home is manufactured & offers 3 beds, 2 baths, living & family rooms, dining area & large kitchen. Guest house is approx. 960 sf w/ bed, bath, kitchen & large living room. 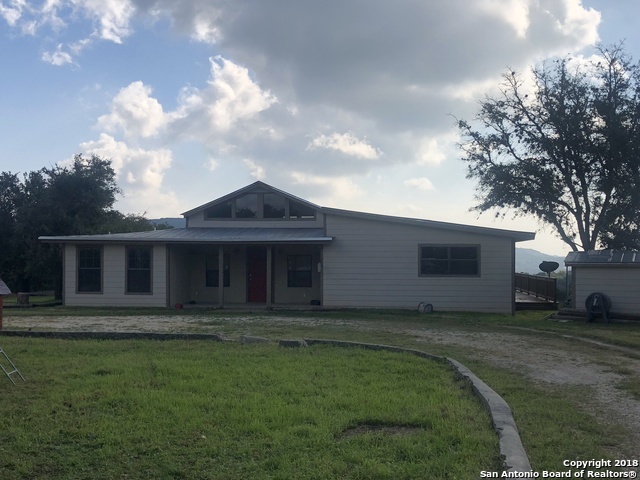 Extensive decking offers excellent outdoor entertaining & views * Excellent hunting* Private road leading to property is a bit "
"2.07 Acres waterfront with 2 bedroom 2 bath home, 344' backing up to the Medina River. This is a rare find. 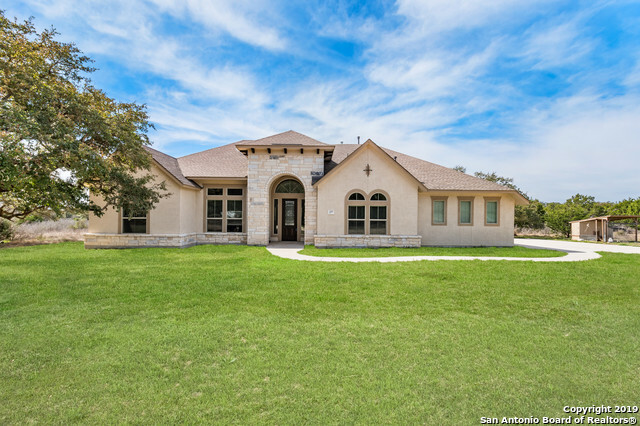 Home has an open floor plan with huge covered back patio with Hill Country views. No carpet in home, hardy concrete siding, metal roof. End of road privacy. The land is wooded for privacy, mature trees, All improvements are out of flood zone. Just a short distance down to the river with huge natural limestone boulders down by the waters edge. Owner has repainted hm, and new floor"
"JUST IN TIME FOR SUMMER! RARE Opportunity to own WATERFRONT Property. Park your BOAT in the WATER in your backyard. Beautiful tree covered lot with storage shed, work shop, Boat storage, and nice 3 bedroom manufactured home. IDEAL WEEKEND GETAWAY! RELAX on the HUGE BACK DECK that overlooks the WATER!" 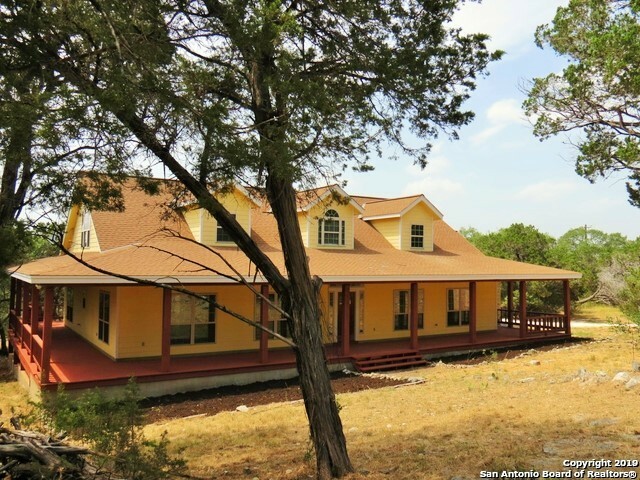 "Amazing views from this remodeled 4-bedroom/3-bath home on 5 unrestricted acres. Well serviced and new aerobic septic installed in 2011. This home has a beautiful 2-side wrap-around porch, large open living area with eat-in kitchen combo dining. 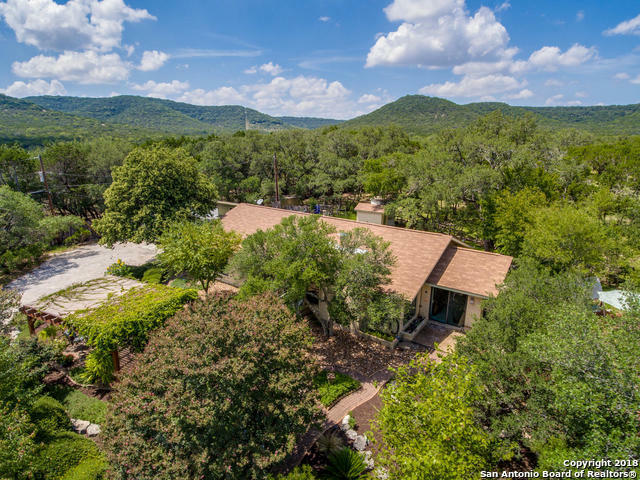 Perched at the top of Bandera County at the end of the cul-de-sac, your home is tucked-away just enough to still provide access to Bandera, Boerne and San Antonio as a commuter property. There is a second older structure on-site used as storage. 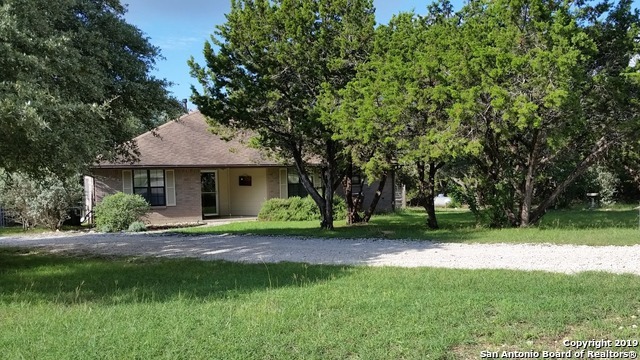 Bri"
"Hill Country charmer on 1.3 acres, nestled in culdesac. Open floor plan with high ceilings. Eat in kitchen w/breakfast bar, utility room & pantry. Stainless steel stove & microwave installed 2018. Reverse osmosis water filter, 10x20 covered deck, fenced garden w/raised beds & peach trees, 12x24 Morgan metal storage building, RV hookup, outside AC unit replaced 2017, 20x20 and 12x24 car and/or boat ports. Horses allowed, NO HOA. 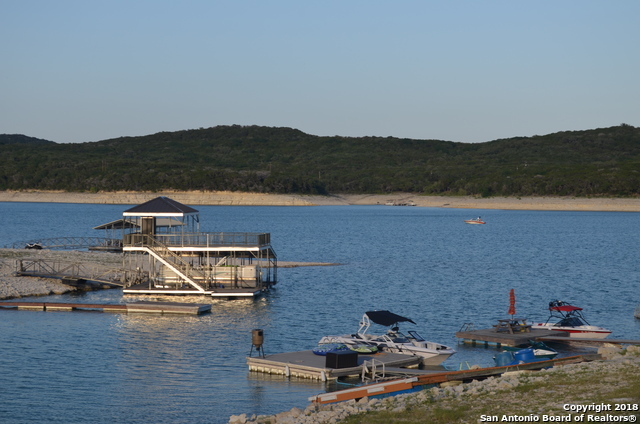 Neighborhood has residents only park with lake access, boat ramp & p"
"Cozy, well- kept 3/2 home nestled in mature trees, within walking distance of Medina Lake! New carpet, new paint, new AC, all matching stainless steel GE appliances. Huge 2nd story deck that is great for entertaining or just hanging out and enjoying nature." 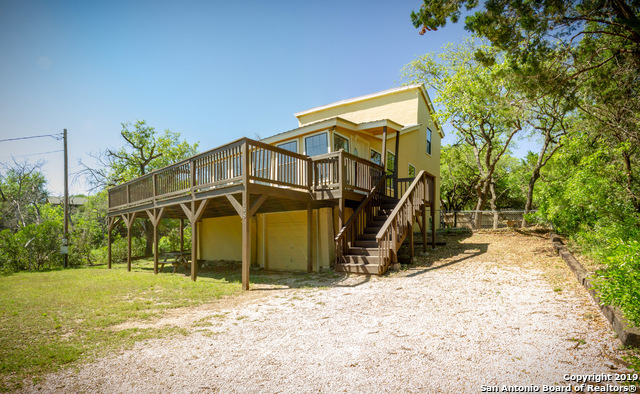 "Great 2/1 cabin on Medina Lake! Home has new windows, fairly new AC unit and roof was replaced about 5 years ago. The home faces east on the lake, which is ideal. Great oak trees on the property. Dock comes with the property. Close to the main park in Pebble Beach. This one is definitely worth a peek." 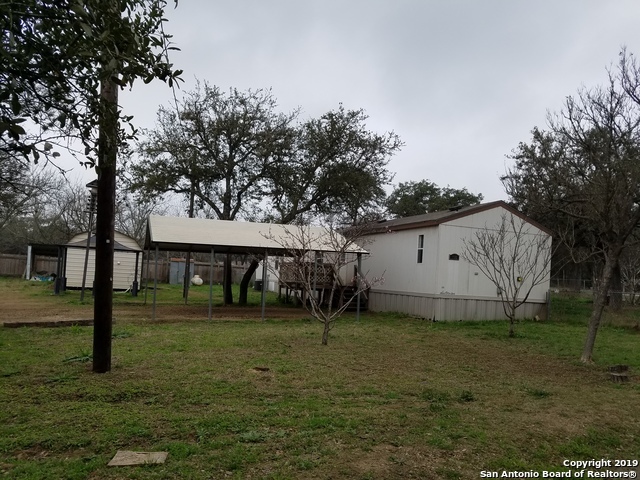 "Major Price Reduction...Great investment opportunity with two mobile homes and a separate RV for sale on over 2-acres. This property has good income to consider as an investment or purchase and/or live in one unit and lease the other two. Property is served by a private well and septic systems. Great location within minutes of Bandera, Pipe Creek and Boerne. Prime corner location and clean improvements make this a must see. One mobile leased and RV Leased at this time."